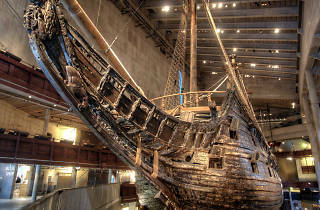 The most visited attraction in Stockholm is a rescued 17th century warship most people have never heard of. 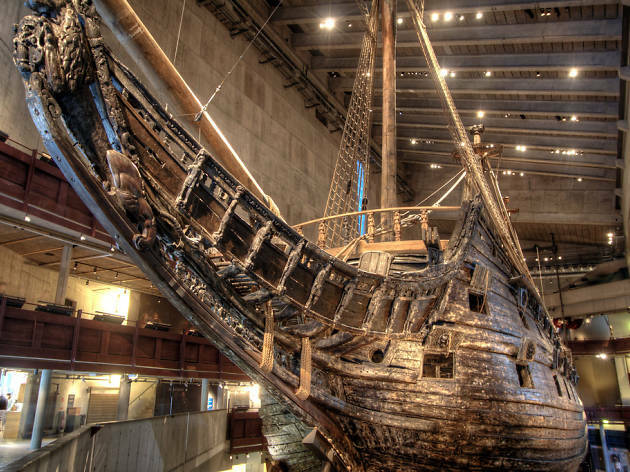 But it’s with good reason that The Vasa Museum captures the attention of so many tourists lacking any previous hint of enthusiasm for maritime memorabilia. The 69 metre-long wooden vessel, covered in decorative carvings, sank on its maiden voyage, only to be discovered 333 years later. While the giant ship alone is fascinating to look at, the museum wins points for its informative exhibitions about the lives of its passengers, the ship’s rescue operation and how it’s been so well preserved. Optional guided tours in English take around 30 minutes and are included in the admission fee. Time Out tip: Reward yourself for your Swedish history lesson with an alcoholic tipple or a fancy coffee from the swanky industrial bar at the entrance to the neighbouring Museum of Spirits, just along the waterfront.